I know so many people who skip breakfast or think a granola bar passes as breakfast because they "don't have time" to make breakfast. Well I'm here to say that a home-cooked breakfast meal is less than fifteen minutes away! Breakfast foods are probably one of the quickest meals of the day to cook up and can be as simple as fried eggs and toast! 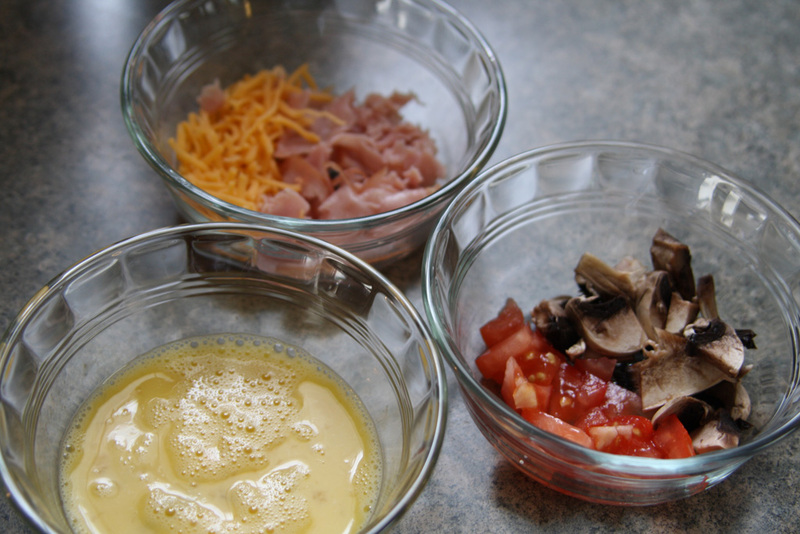 For our first Meal in 15 Minutes or Less Breakfast we are going to cook a ham and cheese omelet. If you are nervous about cooking your first omelet, don't be! If the omelet falls apart, you get scrambled eggs. So no matter what, you will make a tasty breakfast! 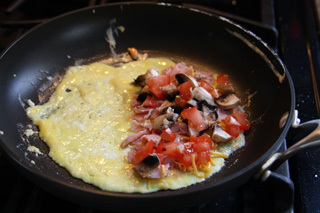 The other joy of omelets is that you can literally add whatever you like to your omelet! 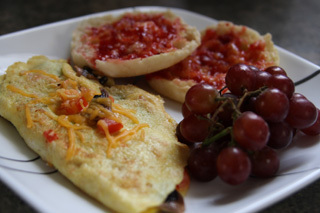 I'm a fan of ham and cheese omelets, but I like to mix it up with garlic, onions, spinach, tomatoes, mushrooms, and so on. How can you make your omelet? Well let's get started! Start by scrambling your egg in a bowl with a fork. Then prep your fillers (ham, cheese, etc) so that they are ready to go as the egg will cook quickly. 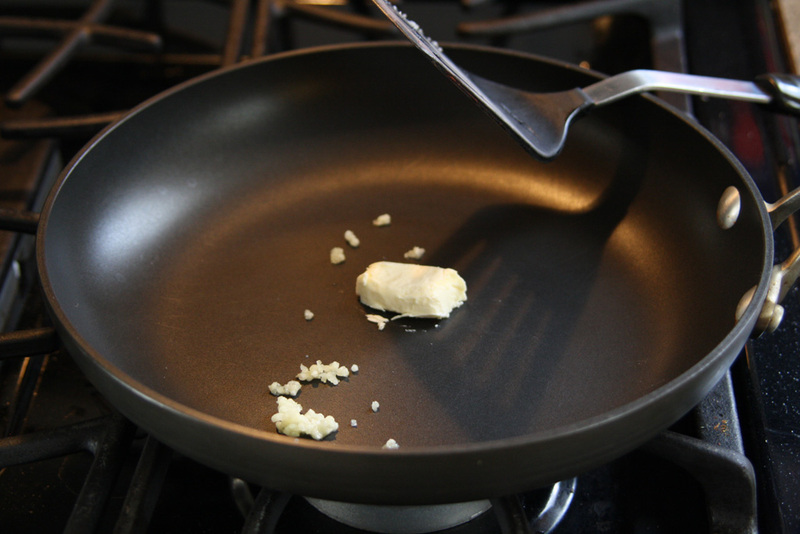 Then, melt the butter on medium heat with either the minced garlic or garlic powder in a frying pan. If you want a thicker egged omelet, use an 8" frying pan; for a thinner egged omelet, go with the 10" frying pan. While the butter melts, toast your bread of choice. Once the butter has melted, pour the egg in the pan and turn the pan so that the egg coats the bottom. When the egg is mostly cooked, pour your ingredients on half of the omelet. 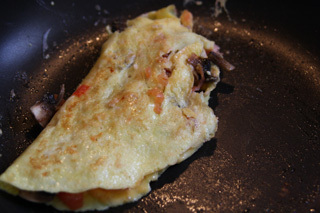 Fold the other half over your ingredients and cook each side for an additional 1-2 minutes, using caution when flipping the omelet so as not to open it up and lose your ingredients. Plate your omelet and toast with a side of fruit. In just 10-15 minutes, you have a complete meal ready to go! Enjoy!